We started using selections from these crosses because of their high yields and early fruiting from seed. Many fruit in 3-6 years from seed and the nuts generally run larger than the 'average' Chinese selection. 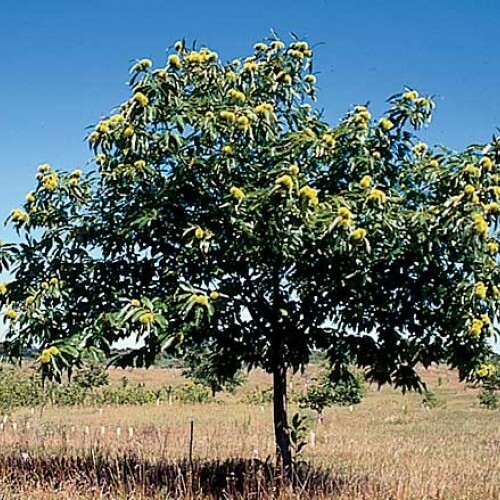 Seedling trees show excellent vigor with good to excellent resistance to chestnut blight. In the end the mature trees look like a standard apple tree with a wide crown. 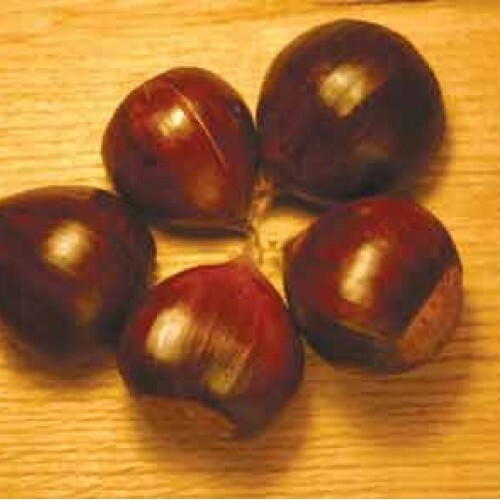 Strains like this one are often used in the commercial production of chestnuts in China and Europe. Many of ours have their origins from the Gellatly hybrids like Laroka and others including Skookum. Often these have an upright timber form and are fully hardy in southern Michigan. One of the best seed strains at our farm for consistent nut production. 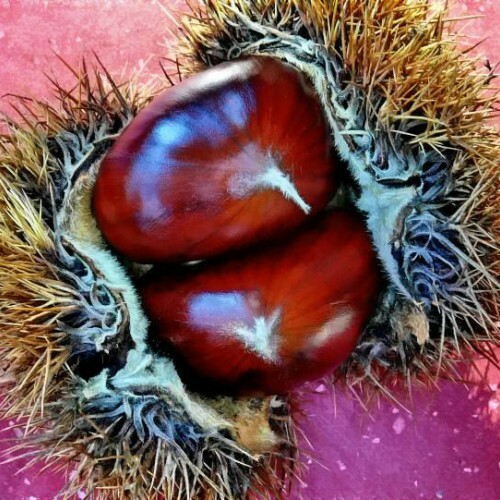 You should plant another type of chestnut (European or Japanese) to cross pollinate it as they can be pollen sterile. No shipment to CA, OR, WA. Plant two trees or other chestnuts except Chinquapin chestnut to fruit. Robust and durable this hybrid cross at our farm is the most reliable nut producer.